So, I had seen recipes for these floating around the web & decided to give it a try. I was surprised at how delicious they are given how crazy easy they are to make. Perfect for a quick breakfast! I’ve made a largish batch & am storing them in the fridge so that I can heat them up in the mornings. 1. Heat your oven to 350F and coat a 12-cup muffin pan with nonstick cooking spray. 2. 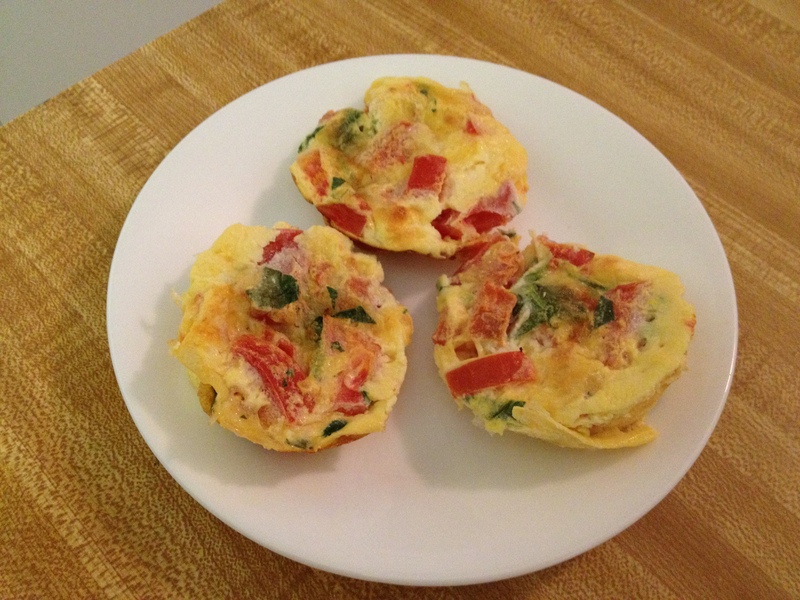 Whisk together the eggs, milk, and salt in a medium bowl, then add tomato, spinach & cheese. 3. 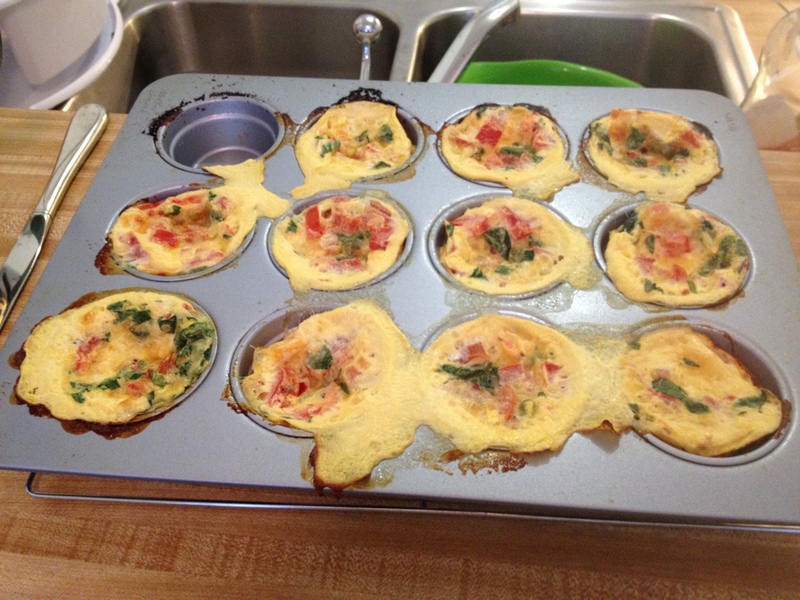 Evenly distribute the egg mixture among the muffin cups. 4. Bake the frittatas about 20 to 25 minutes–they should be puffy & the edges should have browned. It’s Fall Motherfuckers: Pork Tenderloin with Brussels & Apples & Sage & Bacon!